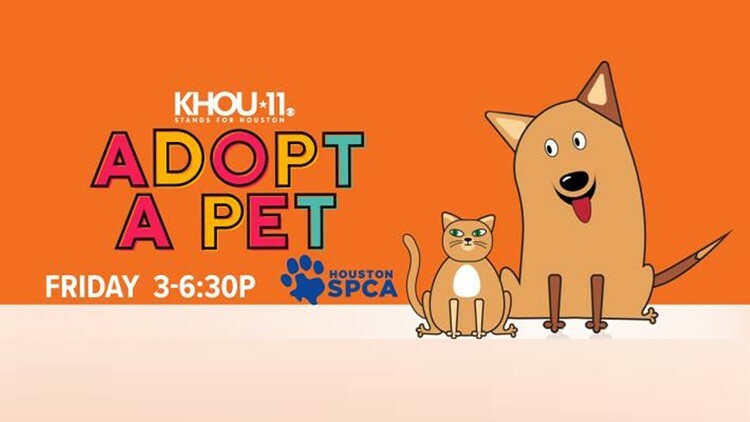 KHOU 11 is partnering with the Houston SPCA on Friday for KHOU 11 Adopt A Pet Day. 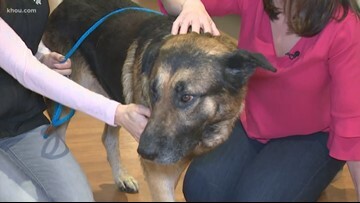 Meet Ferguson, a four-year German shepherd mix. 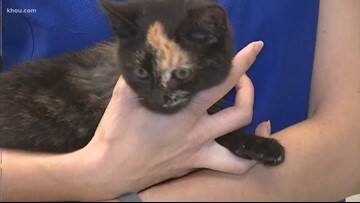 The KHOU Pet Of The Week is 3-month-old Firefly who was found abandoned at a gas station with a broken leg. 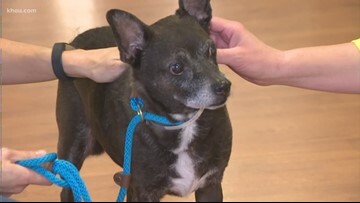 KHOU 11 anchor Lisa Hernandez is live at the Houston SPCA with Boots, an 11 year old black terrier mix who is in need of a home after his owner recently passed away. 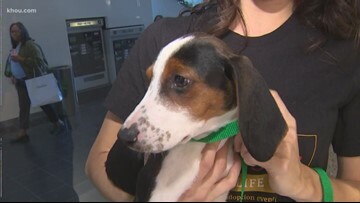 This week's Pet Of The Week is 3 month old Kat, a hound mix, and who, along with her five siblings, is available for adoption at the Houston SPCA. 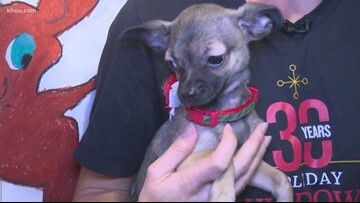 KHOU 11 anchor Lisa Hernandez is live with this week's Pet Of The Week, Henry, a 3 month old puppy who was found abandoned in Memorial Park. If you want to stay inside and chill out in this hot weather..We have a perfect companion: CleoLisa Hernandez has our Pet of the Week. 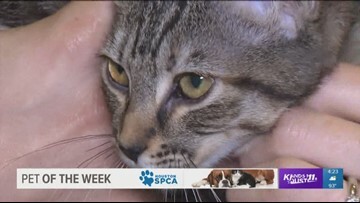 KHOU 11 reporter Lisa Hernandez is at the Houston SPCA to introduce Coleman, an adult cat who has recovered from having one of his legs amputated and is currently up for adoption. 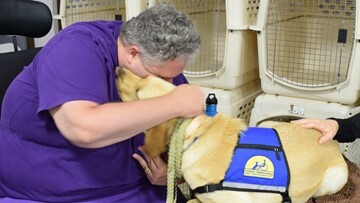 The graduates at Canine Companions for Independence received highly-trained assistance dogs to enhance their independence and quality of life. 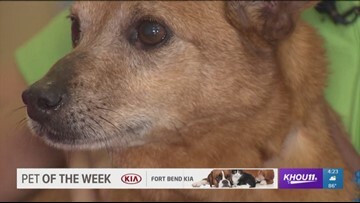 Our Pet of the Week is a sweet dog named Barry. He was rescued last November from a hoarding situation. He's a super chill senior dog so he's available to adopt for only $75, which includes chipping, shots and neutering. 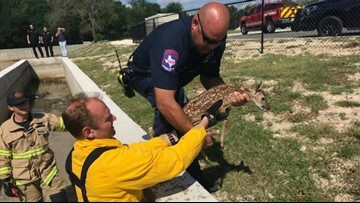 OH DEER -- Police and firefighters rescue fawn! 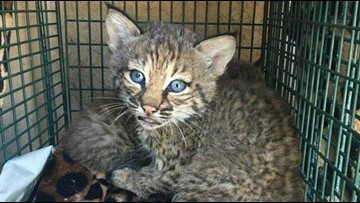 The animals are not injured and currently are under quarantine at Wildlife Rescue and Rehabilitation.